As a founding Partner of Highlands Residential Mortgage, Brian has been deeply involved in all aspects of the company with particular focus on the company’s growth and production support. As Executive Vice President, he currently oversees Public Relations, Human Resources, and Facilities for Highlands Residential Mortgage. All of Brian’s mortgage career has been committed to and focused on maximizing his organizations’ productivity. 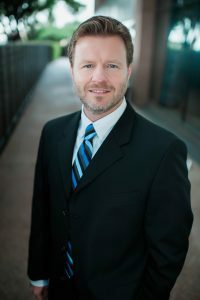 While at AccuBanc Mortgage, he was directly responsible for all aspects of Wholesale and community Bank relationships in North Texas and Oklahoma, including personnel, pricing and profit/loss management. Brian’s leadership and ability to recruit, train and retain high quality professionals resulted in a significant growth of volume and profits for the Wholesale Division. Having started the Wholesale and Community Bank Business Division from its inception, Brian was also instrumental in developing the operations platform to support it. In addition Brian was also a founding Member and Partner of WR Starkey Mortgage Corporation, where he brought his skills, investment leadership and experience to develop that company’s successful retail lending operation.